In my life, I have planned a lot of kink events. I am currently trying to organize a play party during my upcoming trip to South Korea (as an example.) And from fetish proms to munches, it’s often hard to figure out how to entertain people. 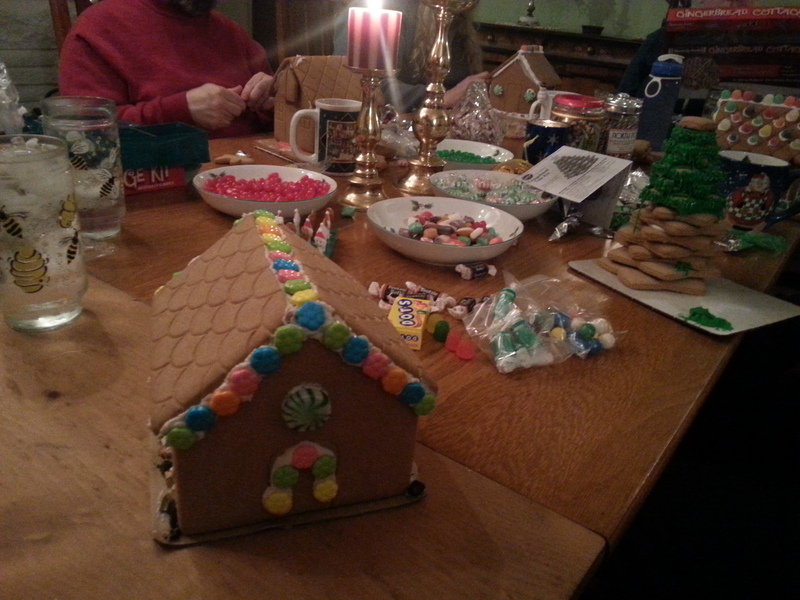 Well Friday I went to a fetlife munch in Portland where we made ginger bread houses. I missed America (it is my home after all!) And I really missed American holidays. I can not tell you how exciting it has been to be here for carving a pumpkin on Halloween, eating turkey on Thanksgiving, and now making a ginger bread house for Christmas. This is not to say that Chuseok and Lunar New Year weren’t fun. They were. Korean holidays are lovely and there are beautiful cultural experiences to be had all over the world. But in the end, there really is no place like home for the holidays. Anyway, this was one of the cooler munches I have been to and I thought it was a really awesome idea, so I had to share. 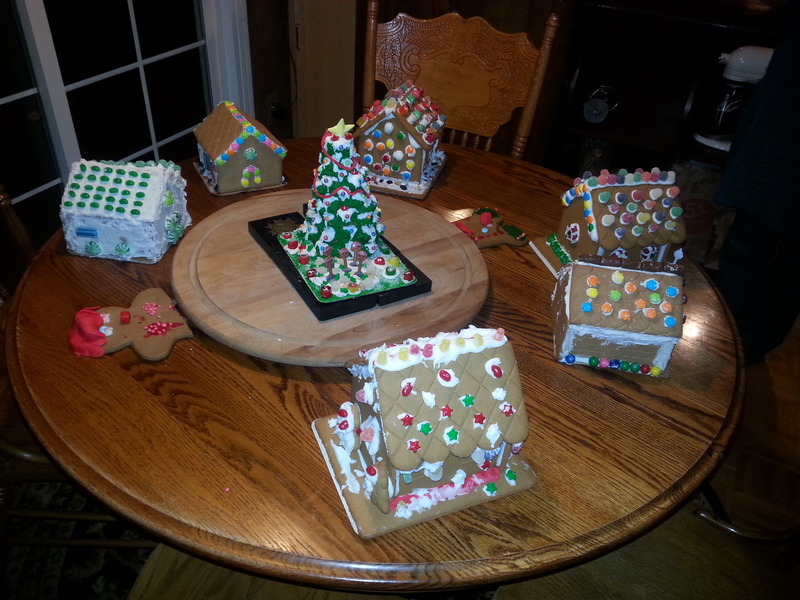 Maybe others will see this post and get inspired to throw their own ginger bread house munch someday. Happy Holidays to all the kinksters out there! This entry was posted in Just thoughts and tagged fetlife.com, ginger bread houses, House of Sun Noble, kink, munches, Portland, us holidays. Bookmark the permalink.